Oh, man. I know I said I’d keep the posts contemporary. However, reminiscing about food is so good. And I feel as though it is one of the most inspiring things I could do. It makes me want to make the recipes again AND go on and make more delicious foods! This is a “Welcome, Fall! !” kind of recipe if EVER there was one. Bread is a tricky food to make. It requires patience and a knowledge of temperatures and an appetite for delicious things. I started out with only one of these but gradually am learning about temperatures and trying to distract myself while my lack of patience for food is tested. Don’t get me wrong. I can be patient: When people are learning new things, I’m a saint; when… when… um. I think that’s where the list ends. Oh, no. I can’t stand traffic, food resting in the refrigerator, or messes just sitting there. I have no patience for any of these things. Hm. Well. Okay. October 17th Resolution:: Patience. Practice it. Grow it. Figure out how to get more. I guess I’ll just have to make a lot of bread this fall to accomplish my new task. Oh, how glorious. 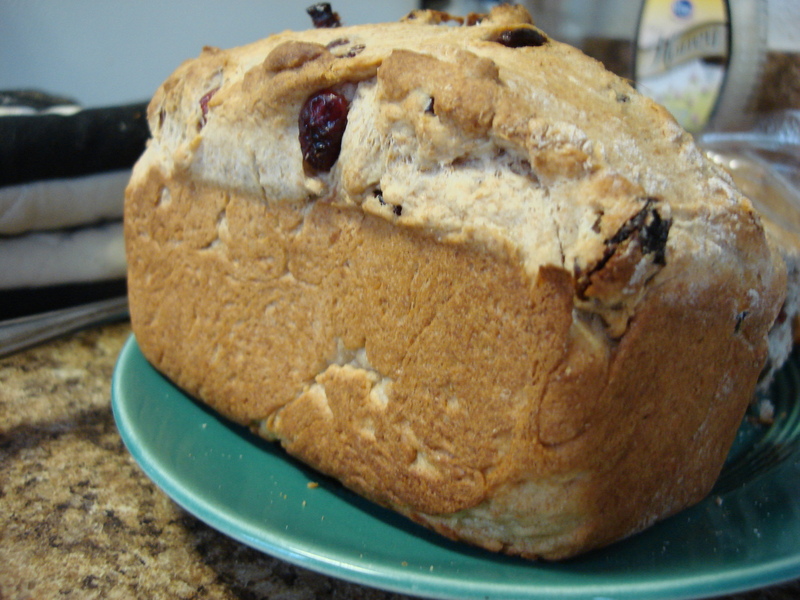 This bread has all the “fixin’s” that just make you want to go “YUM!” then get another serving. Or two. 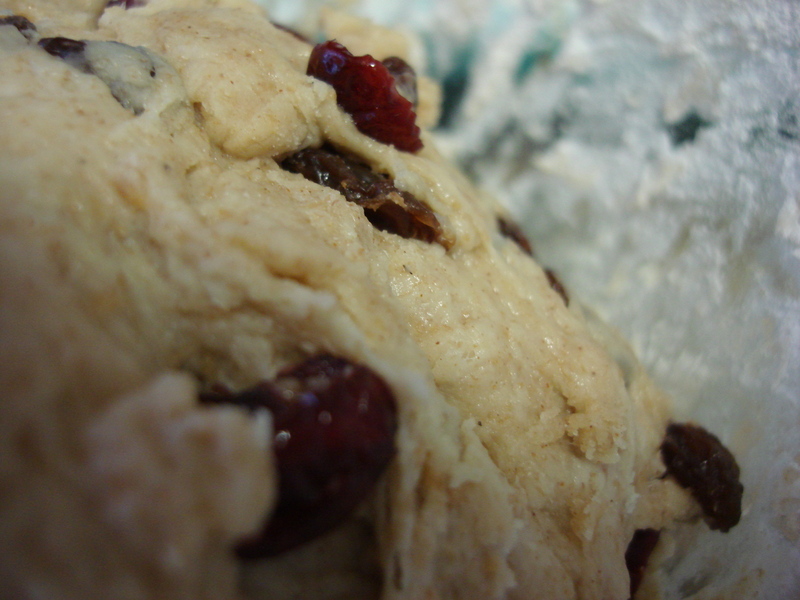 Cinnamon, butter, dried cranberries, and honey. Oh, boy. Here we go. 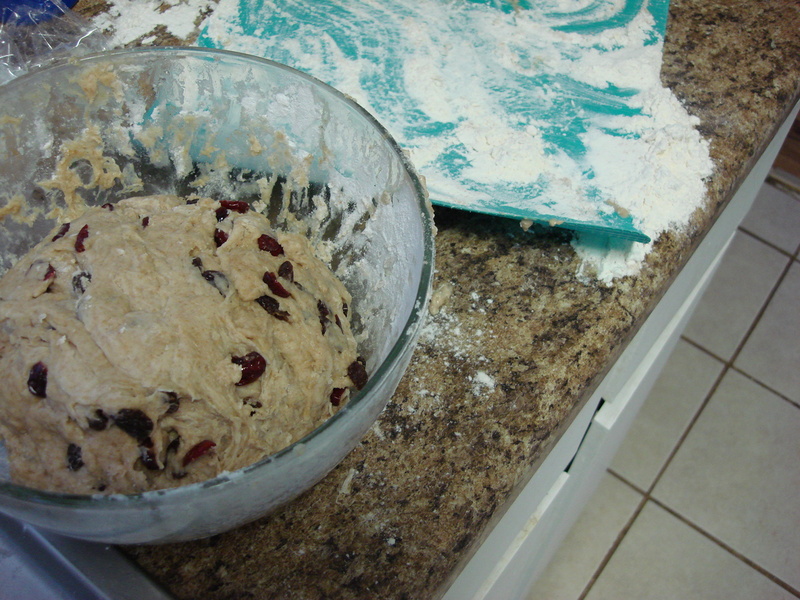 Thoroughly combine water, yeast, sugar, and whole wheat flour in a large bowl. Cover loosely with plastic wrap. Allow to sit in a warm place (75 degrees to 80 degrees F) for 20 to 30 minutes. 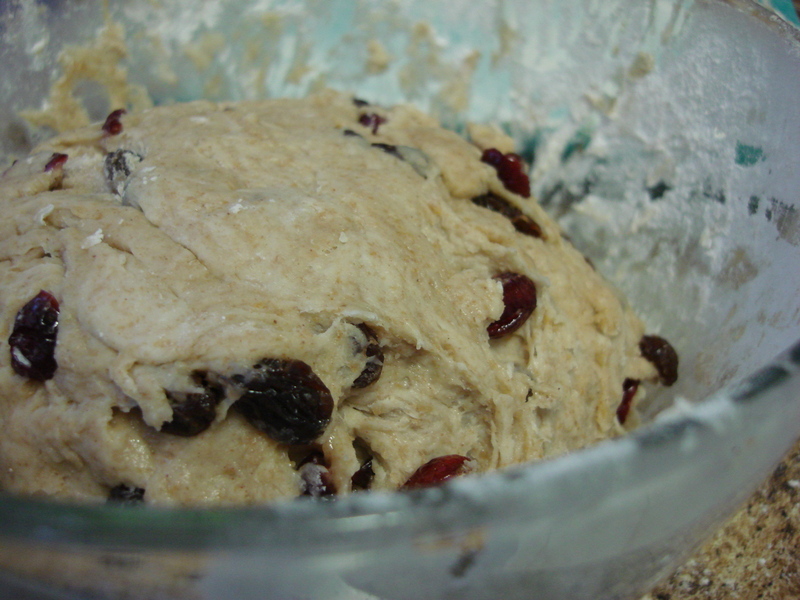 Now that all the ingredients are mixed, form into ball and put it into a greased bowl (Yes, you can use the same bowl from the yeast resting.). Cover bowl loosely with plastic and allow to rise in warm place until nearly doubled in size. Patience…. Patience. Distract yourself. Preheat oven to 375 degrees F. Grease an 8 1/2 x 4 1/2 in (6 c) loaf pan. Punch down dough and form into loaf, gently tucking dough toward center of bottom and lightly stretching to top to a smooth tightness (Think mushroom cap, but a loafier one. ); allow to rise 5 minutes. 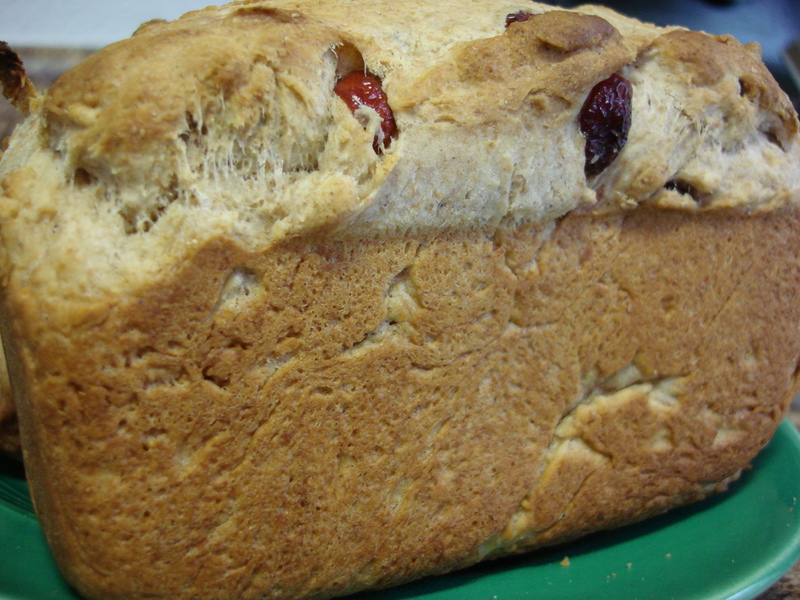 Place in a prepared loaf pan. Bake on middle oven rack for 35 minutes or until nicely golden browned and hollow-sounding when tapped on the bottom. Cool for 10 minutes in the pan then remove bread to a wire rack to cool completely.